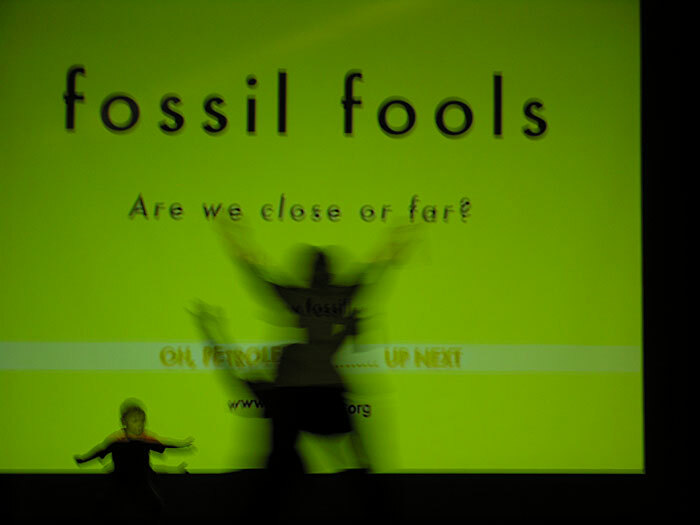 Fossil Fools was a collaborative project that focused on energy issues. 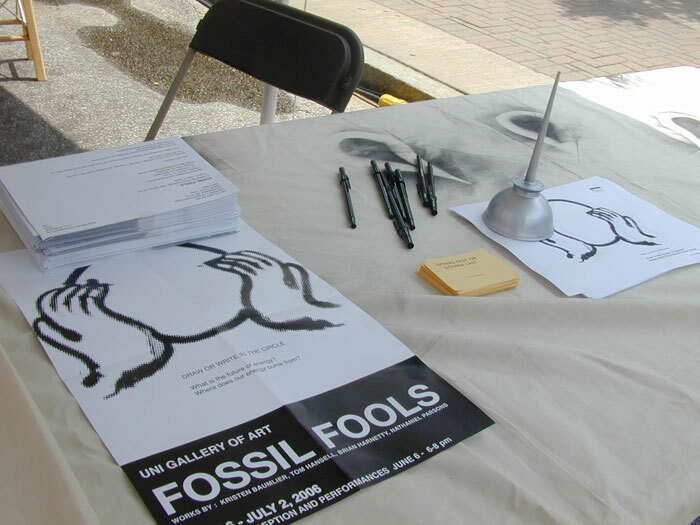 Fossil Fools was a combined set of installations, performances, and workshops about the past and future of fossil fuels and energy resources. 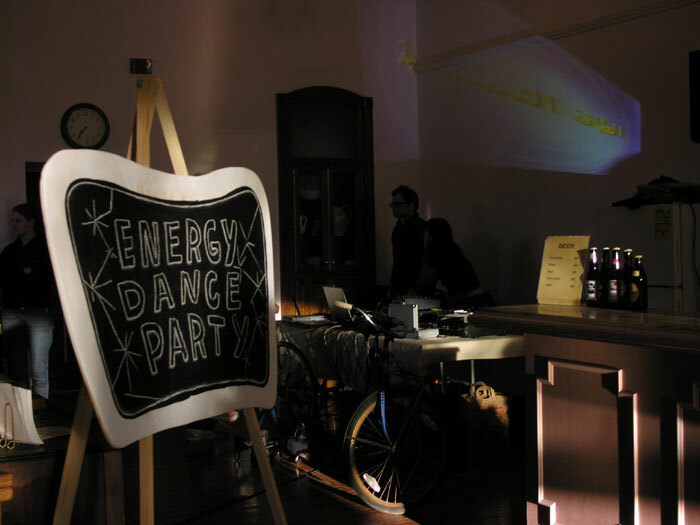 At our events, we invited non-profit groups to come present information about energy solutions in a “info-circus” alongside our projects. Issues explored in this work included: uncovering where electricity comes from, forecasting the future of petroleum and coal, and demonstrating alternative energy use. 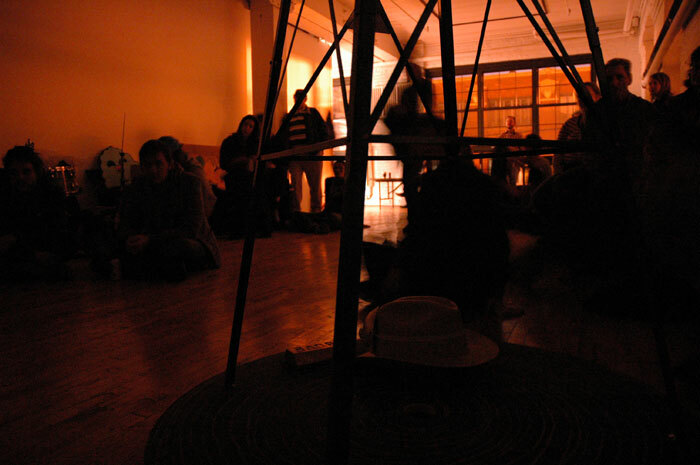 All of the work intended to foster dialogue through interactive and accessible art forms. The goal of the collaborators was to inspire the audience to take ownership of the message and carry it with them into their daily lives. 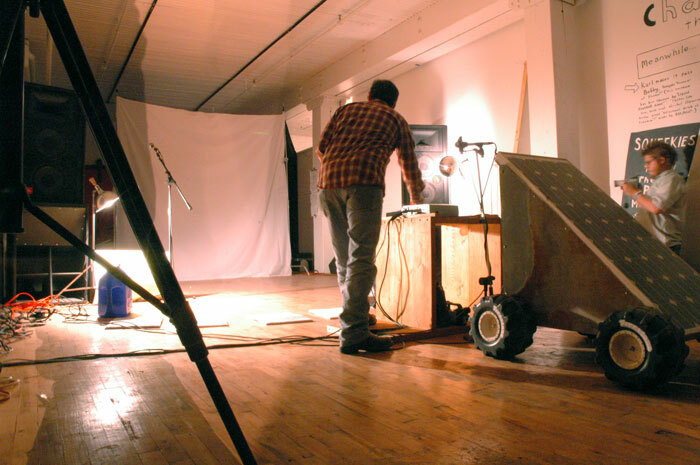 The sequences in which these elements occured and even the works themselves adapted to space and times available at each venue. This work was a collaborative hybrid. 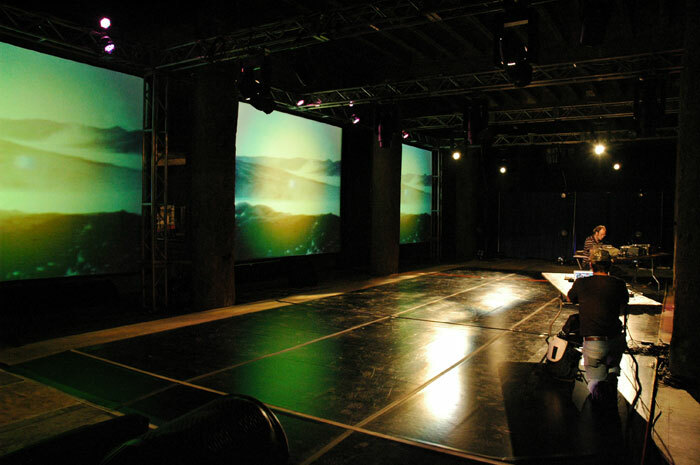 We felt that this mixture of video, sound and performance was stronger than the traditional forms of individual disciplines. 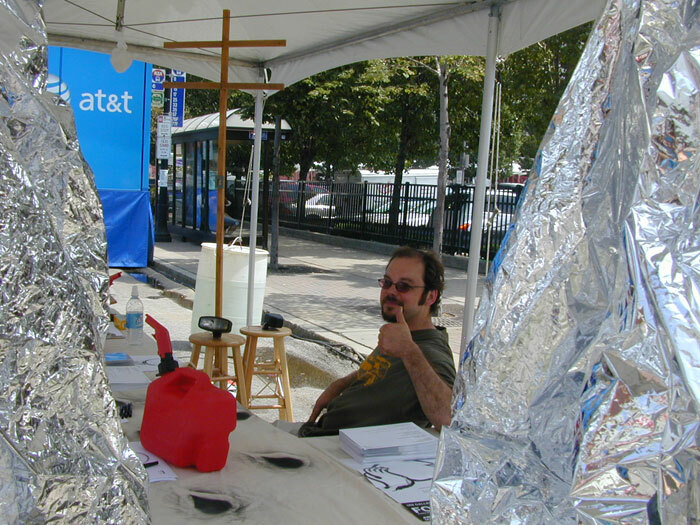 It was effective in communicating the message of fossil fuels to a diverse audience, and sparked conversations about our national dependence on them.